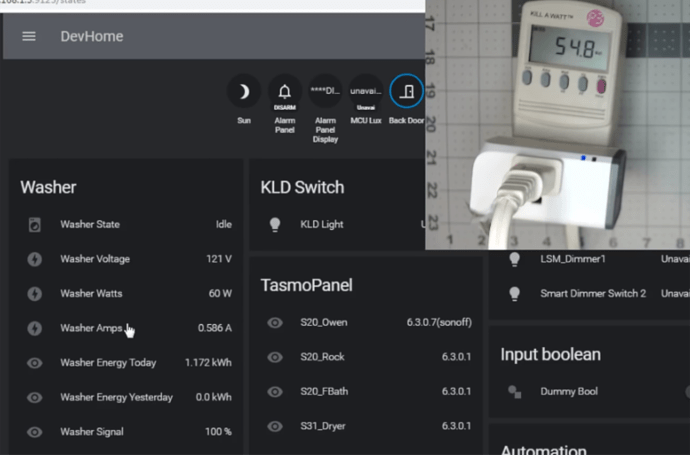 Last month I received an e-mail from ITEAD Studios on their new 16A Sonoff S31 US standard smart socket with energy monitoring feature. Of course that was just one of those “got-to-have” things, so I order a couple. 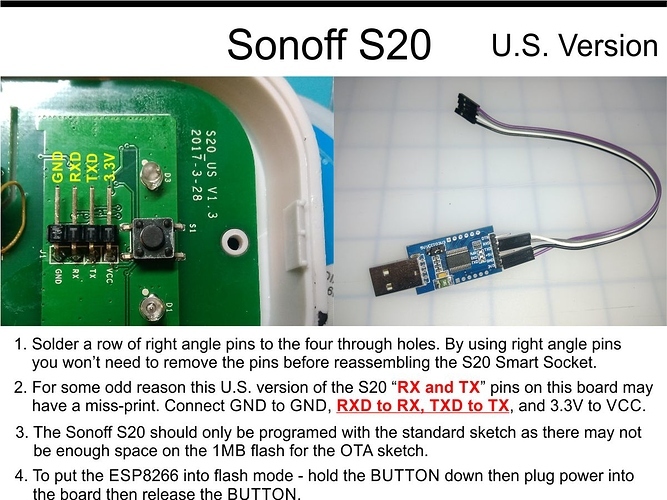 I had also read that it may be a little difficult to hack; flashing it is the same as any other Sonoff products but breaking into it and hooking it up is a little more difficult. 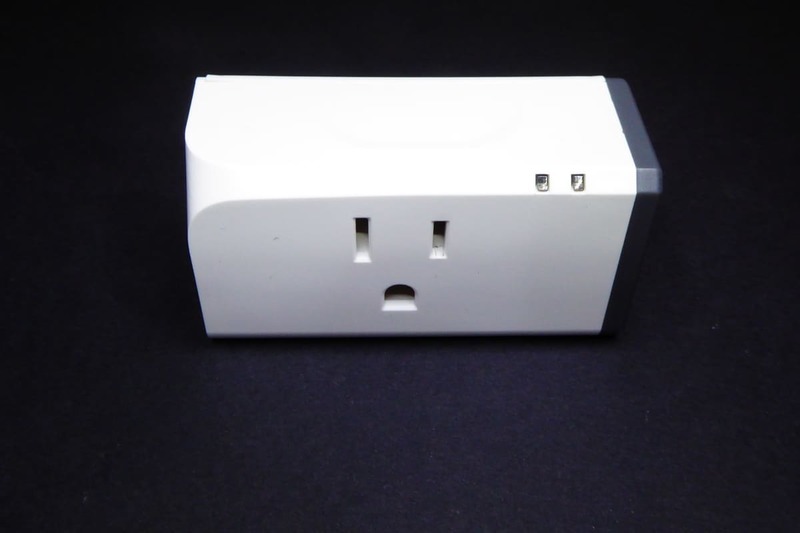 The Sonoff S31 has a compact design so that two can be plug into a single wall receptacle. The 4MB flash allows for OTA programming and the 16 amp relay can carry a heaver load. Although the Chipsea Cse7766 energy monitoring chip is a neat feather on the eWeLink app. After flashing the S31 for the Blynk app the functionality of the Cse7766 becomes useless… unless someone can figure out all the formulas. With the S31s compact design, 4MB flash, 16A relay, and cost of only $17.00… about $2.00 more than the Sonoff S20 made it a much better option. 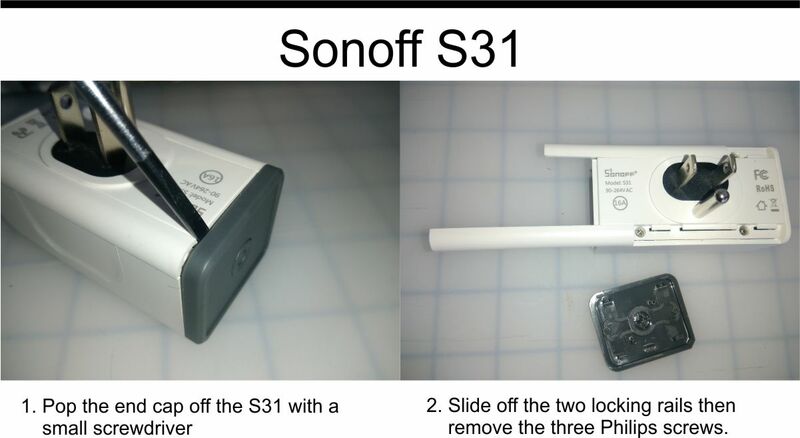 Below are instructions on hacking the Sonoff S31 and two versions firmware. 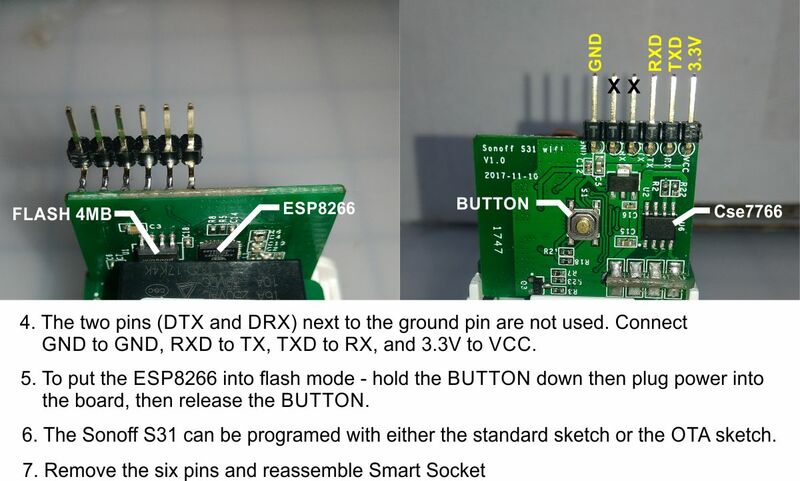 Either version can be flashed on the Sonoff S31. For the Sonoff S20 only the non-OTA version should be used. Because the S31 is a little difficult to open up, solder pins and reassemble for each time you want to flash it, the OTA version seems like a more practical way to go. I didn’t try the OTA version on the S20 so I don’t know if it will work or not. 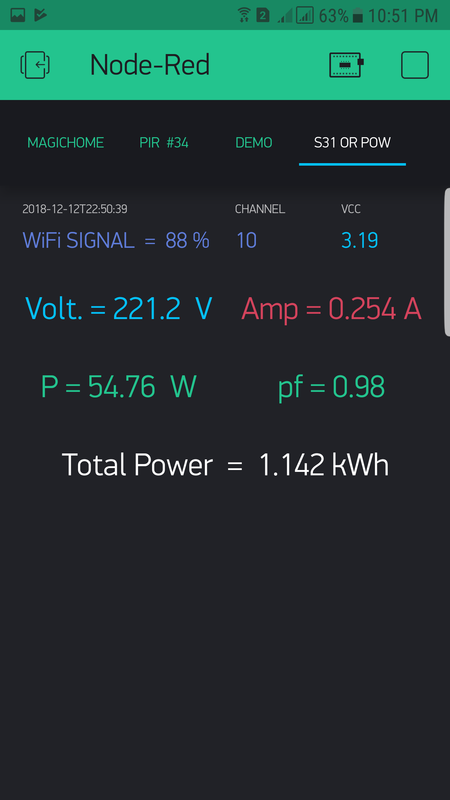 The Blynk app is set up with a vertical button in switch mode on “V1” and an LED widget on “V10” that I used to make sure the buttons and relay were all synchronized during testing. 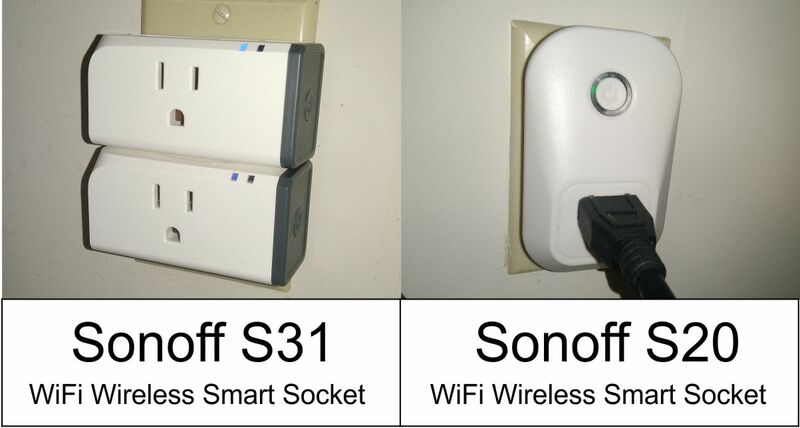 Note: The Sonoff S31 only comes in U.S standard at this time. 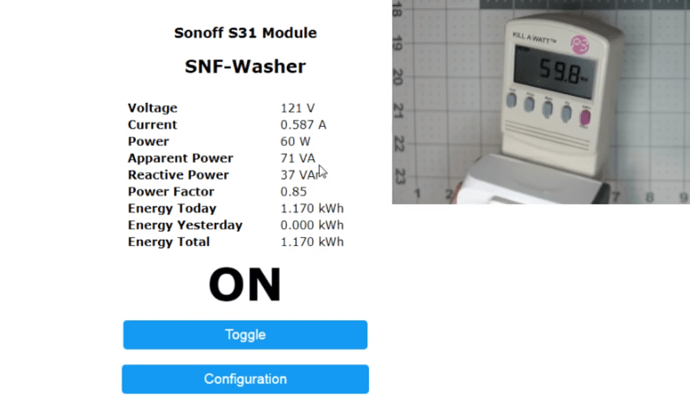 ITEAD Sonoff S31 - OTA version for the Blynk app. 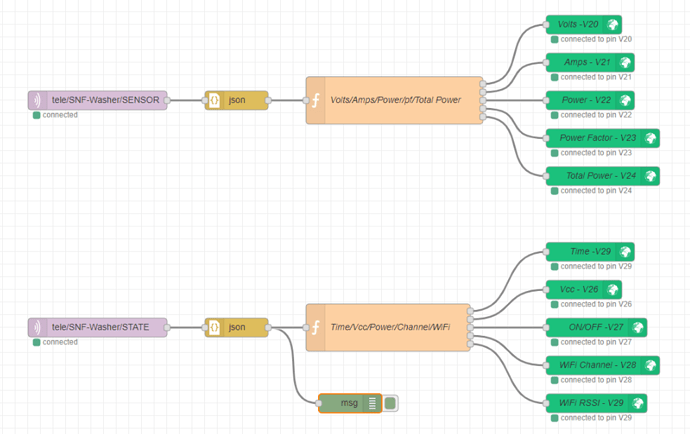 char auth = "blynk authorization"; // Sonoff S31 "4M(3M SPIFFS)"
ITEAD Sonoff S31 and S20 for the Blynk app. //char auth = "blynk authorization"; // Sonoff S31 "4M(3M SPIFFS)"
char auth = "blynk authorization"; // Sonoff S20 "1M(512k SPIFFS)"
But when itst booting , there is no flashing leds or connecting to my wifi, and I have used correct wifi settings. If you’re having to flash the device multiple times then it’s often a good idea to reduce the upload speed. Although it makes no difference in this case, there is no reason to have the SPIFFS set to 512K. It just uses-up half of your available memory for no reason. 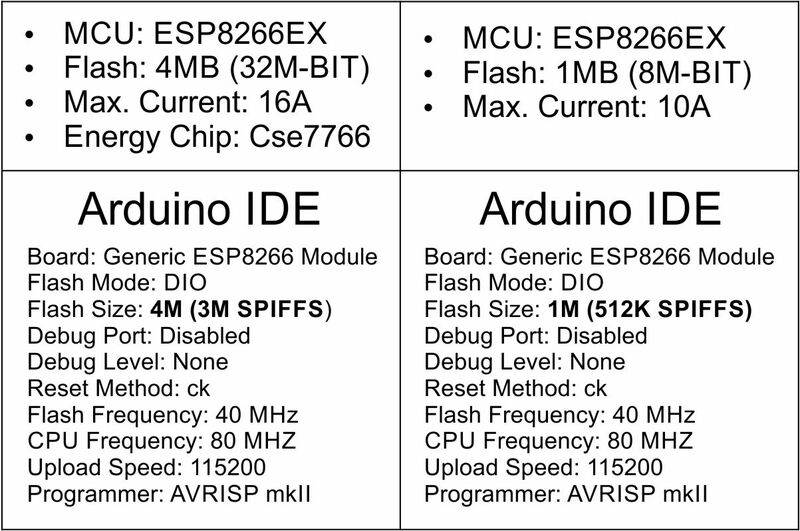 What this is doing is telling the Arduino IDE to partition the available memory on the Sonoff so that half of it is available for your program, and half of it is allocated as SPIFFS for storing data that isn’t lost when your Sonoff is rebooted. As the sketch doesn’t write any data to this SPIFFS partition, this is totally wasted space. The better option is to choose to have the smallest possible amount of space allocated to SPIFFS (normally 64K), or to edit the Boards file to allow 100% of the available space to be used for your program and zero for SPIFFS. As I said, it doesn’t make any difference with the standard code, but it would be an issue if you were wanting to do OTA (which is VERY handy, as you can change your code without having to rip the S20 apart every time). The way that OTA works is that a copy of the new code is uploaded to memory alongside the existing code, before the old code is replaced. This means that if your new code is roughly the same size as your old code then at least 50% of the memory needs to be available to temporarily store the OTA image. This isn’t likely to be the case if you’ve already used-up 50% of the Sonoff memory by setting it aside for SPIFFS that isn’t being used. Also meant to add that I like to use the Ticker library to do a bit more with the LED on the S20 and Sonoff Basic. 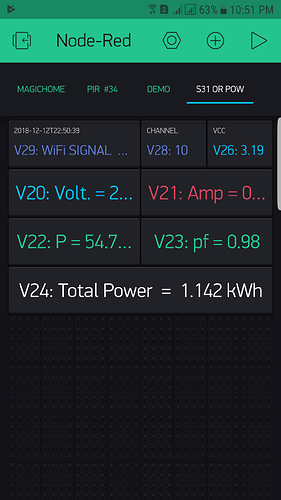 Ticker is a non-blocking routine that can be used to make the LED flash at different rates to tell you different things, without interfering with your other code. I use Blynk in a very different way to most people. My devices do t run any Blynk specific code. They just connect to WiFi and then use MQTT to pas data and commands back and forth to my Rasperberry Pi, which runs software called Node-Red that then integrates with Blynk, Amazon Alexa etc. So in my scenario, the S20 does two things when it starts-up. It connects to Wi-Fi then it connects to the MQTT server. I use two different LED flashing sequences to tell me what it’s doing. If it keeps flashing quickly then I know it’s not connected to my Wi-Fi successfully. If it’s flashing slowly then it’s trying to connect to my MQTT server. If it’s not flashing at all then it’s successfully connected and ready to go. to give some visual feedback about what’s happening without having to rip the Sonoff apart, connect-up your FTDI and view the serial output of little ‘x’s being printed across the screen. To the best of my knowledge, the S31 is only available in the U.S. version and has a 4MB flash and the Chipsea Cse7766 energy monitoring chip. The Cse7766 is most likely the reason for the 4MB flash. I believe all the others without the Cse7766 chip including the S20 only have a 1MB flash. @steelgoose… It’s been a while and I just got the same socket. 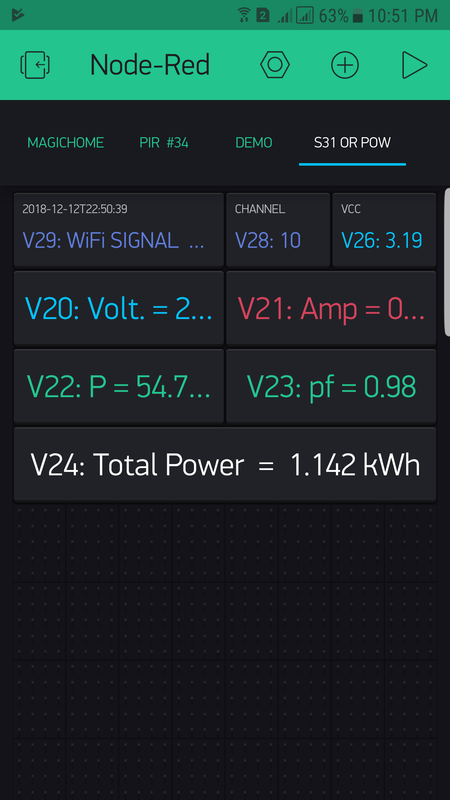 Was wondering if you found a way to read energy consumption from it ? 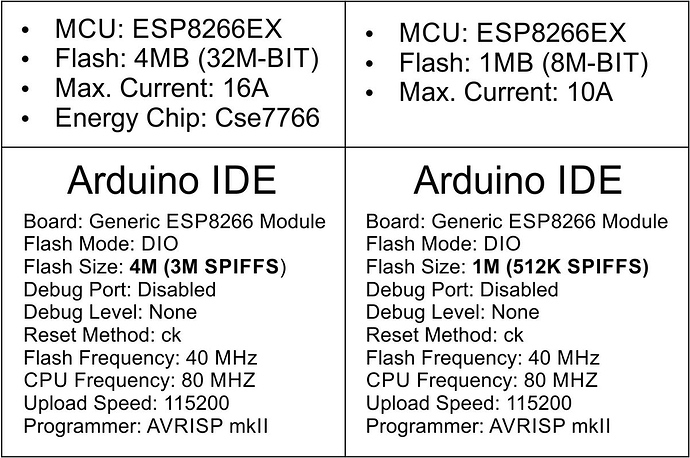 Espurna and Tasmota apparently both support reading the Cse7766 chip but I’m only looking for a library or separate Cse7766 code to integrate with my own Arduino sketches. Does anyone know where to find such? Does anyone know where to find such? We tend to work with Blynk stuff here… but perhaps you can try Google? Lots of info, data sheets, etc. Yeah, I’m hoping to forgo all that work myself if someone else has already figured it out and is willing to share it. I think the Tasmota code is my best bet but seeing as Pavel asked, I was curious if there was further development. Was wondering if you found a way to read energy consumption from it ? I also found many interesting topics in this forum that was not easy for me to understand in the past. 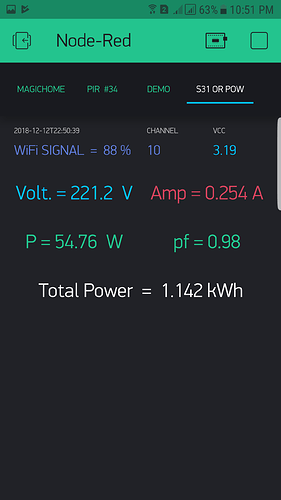 we can achieve same result to read Energy consumption from S31 using this technique.